Gerard Grealish started in Cistercian College in 1994, teaching Physics, Maths, Applied Maths, Science and Computer Studies. 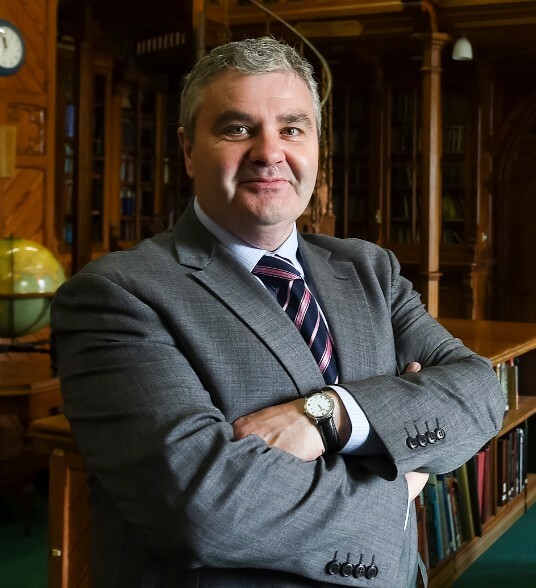 He completed a Masters in Science Education (UCC) in 2002 and completed a Postgraduate Diploma in Educational Leadership in Maynooth University in 2009. Mr Grealish was appointed Dean of Studies in June 2010 and Principal in September 2017. As well as her role of ICT coordinator, Catherine also coordinates the Transition Year programme and teaches Business Studies. Cistercian College is an integral part of Catherine’s life; she believes that the care and welfare of the students in tandem with their academic education is our collective responsibility. 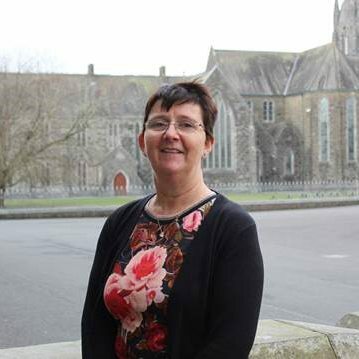 She is a passionate believer that the unique Cistercian ethos offered to our students continues to benefit our students throughout their lives. Mr. Halpin is a highly experienced educator having spent 16 years in management positions in top schools in the UK. 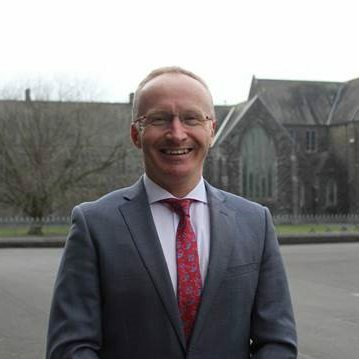 He has been appointed to this key role, to be part of the Cistercian College Roscrea Leadership Team and he will lead the Pastoral Care Management Strategy in the College. Mr. Halpin is better known as an Irish Rugby & Athletics International in the late 1980s and early 1990s. Educated at Rockwell College, where he won four Irish Schools rugby caps, he travelled to the US on an Athletics scholarship to the University of Manhattan, where he won the American Indoor Collegiate Championship in the Hammer, before going on to represent Ireland in the 1987 World Athletics Championship. Upon returning to Ireland in 1989, he resumed his Rugby career, joining Dublin club Wanderers FC, making his full international debut twelve months later when lining out at tighthead prop against England at Twickenham. He subsequently joined London Irish and was a key member of the Irish team at the World Cup in South Africa in 1995, wearing the No. 3 shirt against New Zealand, Wales and France. He scored his one and only try against the All Blacks at Ellis Park in Ireland’s tournament opener. Having taught at St George’s College, Weybridge before taking a break to sample professional rugby, he went on to teach and coach rugby at the Oratory School, where he was also a Housemaster. From 2008 to 2017 Mr. Halpin was a Housemaster and 1st XV Rugby coach at Saint David’s House in Christ College Brecon, a Boarding School with 400 pupils in Mid-Wales. 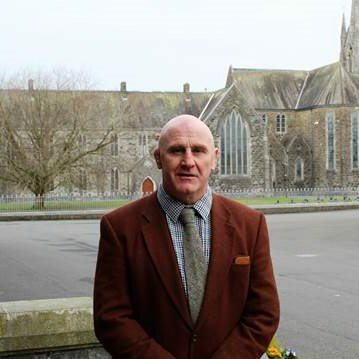 Seamus Hennessy is a Housemaster and Director of Admissions and is one of our longest serving and most experienced members of staff. Before he came to Cistercian College Seamus was a journalist in Limerick. He left journalism to take a break from that life and concentrate on studying for a Master’s in a quiet, academic atmosphere of a 100-year-old monastic college. Seamus meets all new prospective Parents and Students personally and is available to deal with any queries.